Are you a crafter? We’re not talking about knitting and scrapbooking. We’re talking about working people who build things through their hard labor. 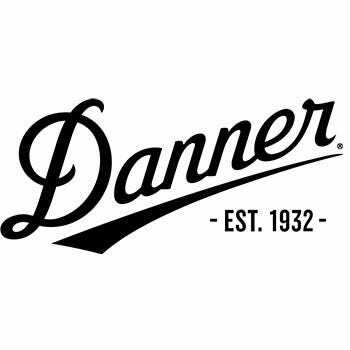 It's people like you who need work footwear like Danner Men’s Brown 12437 Crafter Waterproof EH Slip-Resistant ... (see full details) (see specifications) #DNN12437. Are you a crafter? We’re not talking about knitting and scrapbooking. We’re talking about working people who build things through their hard labor. It's people like you who need work footwear like Danner Men’s Brown 12437 Crafter Waterproof EH Slip-Resistant Boots. The brown 8-inch uppers of this premium footwear are crafted from oiled Nubuck leather. Nubuck is an effect that gives this leather a soft velvety feel, but leaves it stronger than suede. In addition these boots are equipped with waterproof liners that block out water and moisture keeping your feet dry and comfortable all day long. When it comes to comfort, the all-new Danner Comfort System (DCS) offers you with superior durability and support. The DCP last with anatomical design combines with the broader toe box for a truer and more responsive fit. With a patent pending, the plush dual-density footbeds offer two layers of cushion along with underfoot venting for maximum airflow. The Airthotic clips in the men's shoes offer heel supports, while the fiberglass shanks offer much-needed arch support. Keeping you on your feet are the slip- and oil-resistant outsoles. 90-degree heels are ideal for going up and down ladders. Shielding feet from falling objects are the non-metallic toe caps. EH, or electrical hazard, heels and soles in this exceptional footwear protect you against accidental contact with live electrical circuits. The EH boots meet or exceed standards for ASTM F2413-11 M, I/75, C/75 and ASTM F2892-11 EH. This means your toes will be guarded against impacts and compression that can occur from rolling or falling objects on the jobsite. You don’t have to join a quilting bee to appreciate the durability and safety found in these Danner Men’s 12437 Crafter Waterproof EH Brown Boots. Just order your pair today from Working Person's Store! Danner Boots: Men's 12437 Waterproof EH Brown Crafter Work Boots is being added to your cart.